Who Is Liable for Climbing Wall Injuries? Indoor rock climbing gyms are a great way to experience the thrill of the sport without worrying about falling off a cliff hundreds of feet in the air. But even indoor climbing walls present the possibility of injuries, and injured climbers might not always be the responsible party. 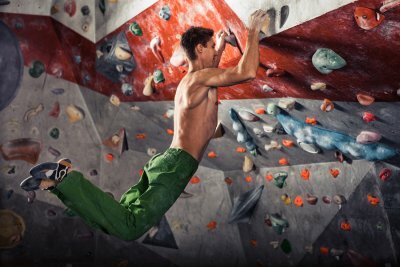 A climbing wall injury case can be a little more complicated than the average slip and fall lawsuit . Consult a personal injury lawyer serving the Riverside area who has plenty of experience with complicated types of premises liability cases. Injured climbers might assume that the gym is usually to blame for an accident and their subsequent injuries. But this isn’t necessarily true in all cases. Your personal injury lawyer will consider whether the climbing equipment was inherently defective in design or manufacture. If so, then the manufacturer could be held liable for the damages. For example, the manufacturer might have produced the carabiner out of a poor quality of aluminum alloy that caused it to malfunction. One possible defense to this claim is that the climber was using the equipment in a manner not intended by the manufacturer. Hypothetically, if the climber decided to light the climbing rope on fire, and the climber fell as a result, then the manufacturer would not be found liable because the rope was never supposed to be lit on fire. Additionally, the climber could be found liable for the damage to the equipment and gym. One key piece of evidence in any climbing gym lawsuit is the waiver. Climbers are required to sign a waiver before they’re allowed to use the equipment, and many of them don’t read the full document. The premises liability attorney will need to carefully examine the waiver, and consider the facts of the case in light of the provisions in the document. Liability waivers are supposed to prevent climbers from suing the gym in the event of an injury. However, if the gym owner or supervisor can be proven negligent, climbers can usually file a lawsuit regardless. Learn more about our personal injury services here or read some of our client testimonials here.